On this trip, you will hike on the Marangu Route with one night at Mandara Hut and towards Horombo Hut before returning to Mandara for lunch and then hiking back. You will NOT reach the summit. All trekking inside of the Tanzania National Park require the services of a certified Kilimanjaro guide, and the Marangu route is the only route where short treks are allowed. For an overnight hike you will stay at the park. huts. 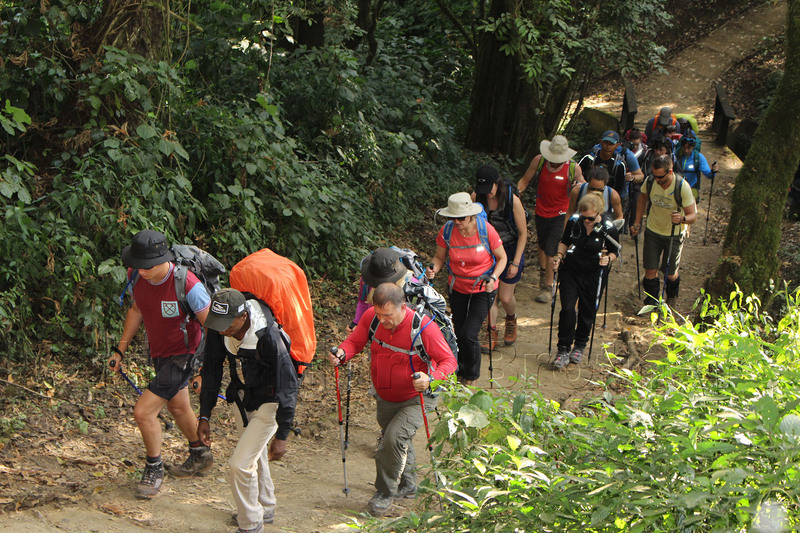 Walk through the rainforest to the Mandara encampment. A side trip to Maundi Crater is a good way to see the surroundings including Northern Tanzania and Kenya. In the rainforest, look for towering Eucalyptus trees, bird life, and Colobus monkeys. You leave the glades of the rainforest and follow an ascending path on the open moorlands towards the Horombo encampment. Views of Mawenzi and the summit of Kibo are amazing. Look for giant lobelias and grounsels. After lunch at Mandara, hike back to the park gate and drive back to Moshi (about 1 hour).